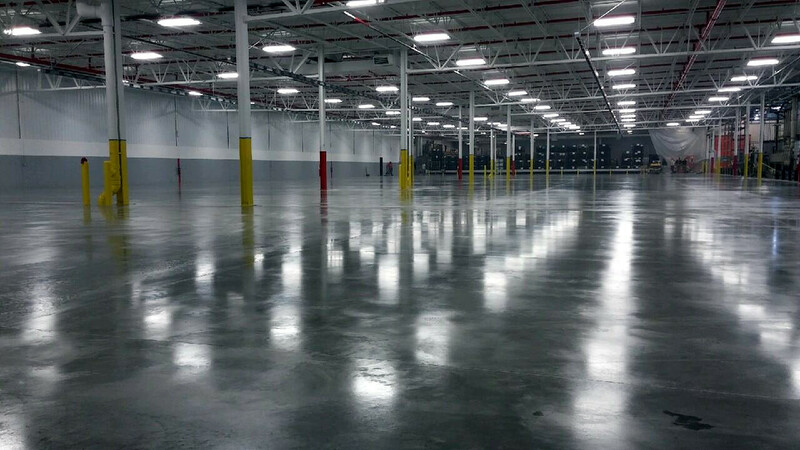 In the '90's concrete hardeners and densifiers dominated the warehouse market, providing floors with increased wear ability and an attractive sheen. A variety of products are available in today's densifier market based on lithium silicate, sodium silicate, sodium silicanate, sodium fluorosilicate, and potassium silicate technology. These products are applied to a concrete surface and allowed to penetrate, leaving no film or membrane behind. During application a chemical reaction takes place between the hardener and the slab's free alkalines. This reaction densifies the concrete, ultimately tightening the slab surface. Tests prove the densified surface has increased compressive strength, increased abrasion resistance, and improved chemical resistance. 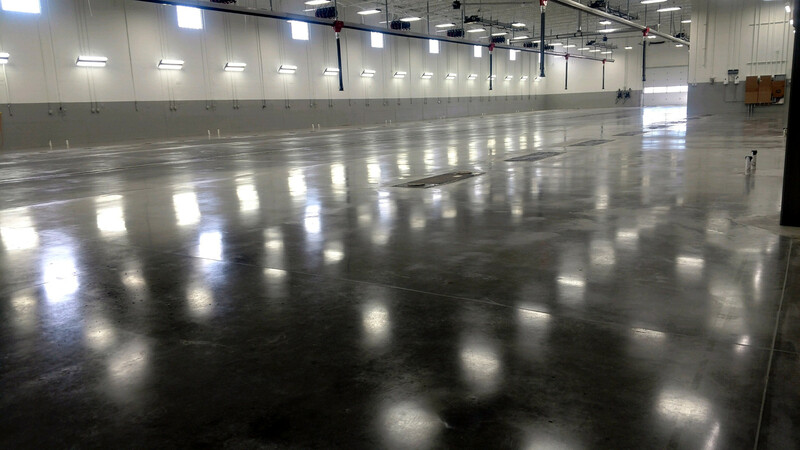 Although the floors may stain, with no film on the surface, there is nothing to scratch, peel, or delaminate...ever! The appearance is also attractive. The densified/hardened surface will begin to "polish" or "buff" with traffic. Hardened floors actually improve in appearance over time (with appropriate maintenance). 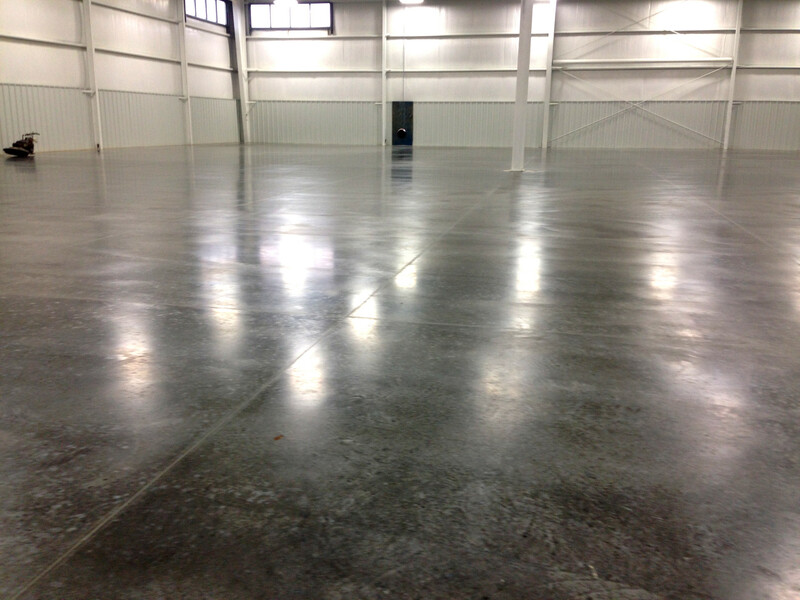 The final result is a beautiful, durable concrete floor.